You are here: Home » OTHER NEWS » Do You know Story about Migrant Durduana and her Relative who carries her on his Back? Do You know Story about Migrant Durduana and her Relative who carries her on his Back? All migrant stories are sad but some of them can be called heroic. There are real cases of migrants whose stories resemble Hollywood films as they look and sound unbelievable. But, indeed, they are true. Unimportant as it might sound for us, the terribly settled and nicely seated in our comfortable sofas, things are happening around us, that are shocking, tragic, unbelievable even, but so terribly and totally real. So, getting to know about those kids’ story won’t be worthless. You can bet on it! “Durdana Zazai, a 12-year-old girl from Afghanistan, was also sent back when she came to Croatia with her relatives to seek asylum. Zazai has polio and can no longer walk. Her cousin carried her on his back through the woods. When they met the Croatian police, they were told that they would be taken to Zagreb. Instead, Younis said police drove them back to the Serbian border. Now, Durdana is at a Serbian reception centre. She is not treated for polio there. A year on, Younis and Durdana are still high and dry. 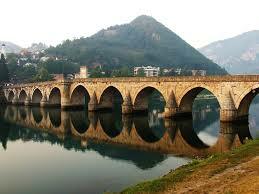 At present, they are in Bosnia and Herzegovina, on its western border, in the city of Cazin. This… unusual duo, accompanied by Durdana’s sister Amina, have tried to cross into Croatia ten times -the first EU country on their route to Germany- but have failed “ceremoniously”. When the border guards see them, Younis and Durdana can only stop, wait and listen since they are unable to escape. Every time they are busted, they are forced to return to the hotel “Sedra” near Cazin, where they still live with other migrant families until this day. “We have fled Afghanistan, where it’s very difficult to live. There is no education, no work, no money, and no food. Taliban and Islamic extremists are everywhere, it’s not a life we deserve, we want to move on”, Younis told local media. Durdana’s parents live in the EU, kids’ final destination. Younis’s parents are still in Afghanistan, waiting for news from their son. “I would never leave Durdana; she needs my help”, this brave young man has told a BiH newspaper. In the meantime, whilst they and other migrants are trying to cross the border and reach longed-for land (Europe) -which is so close yet so far- BiH Border Police discuss necessary measures about to be adopted to prevent new migrants from entering Bosnia and Herzegovina via its borders with Serbia and Montenegro, on BiH’s east. At a recent meeting, Border Police Experts Board concluded that some of the basic problems are the insufficient number of police officers, exhaustion of staff, overused Border Police equipment and technical capacities after a year of implementing extraordinary measures at the border. “What was emphasised at the Expert Board meeting is that in crisis situations such as the current one with illegal migrants, BP BiH expects from all its members maximum professionalism at work, respect of legal regulations and consistent application of standards and rules of conduct, (as) mapped out by Police and civil servants’ ethical codes”, the Experts Board noted. Still, however, none of these measures mean anything to Durdana, Younis, Amina and thousands of other migrants who have been seeking better living conditions. Their only wish, to be able to enjoy a life like the one of people who have been making decisions about theirs. Medical treatment for Durdana’s polio could not be anything less than top priority.